Minnesota Maple Syrup Producers' Association (MMSPA) - Our history, purpose, and how we are governed. For nearly 50 years the MMSPA has served the maple syrup industry of Minnesota. Incorporated as a non-profit membership association in 1966, the MMSPA has promoted quality maple products and provided information and education to members. We exist to support and encourage maple syrup production in Minnesota by hobbyists and licensed commercial producers alike. Producers today owe a debt of gratitude to MMSPA’s first president, Clifford Dalbey of Mora, Minnesota who, along with 13 other producers, formed the MMSPA in 1966. Today the association is made up of over 100 maple syrup producers from the state of MN. Supporting the North American Maple Syrup Council (NAMSC). The Association is governed by a volunteer board of directors of up to 12 members. Staggered three year terms allow for the election of directors at each annual meeting. Officers include the President, Vice President, Secretary and Treasurer. 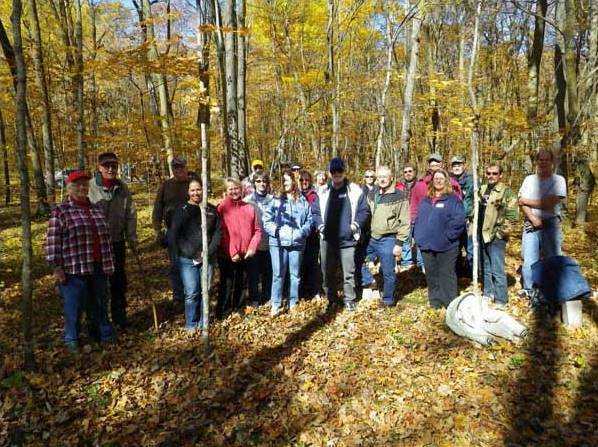 To the extent practical, the board is comprised of members from all parts of the state where maple syrup is produced. All board members volunteer their time and the Association has no paid employees.